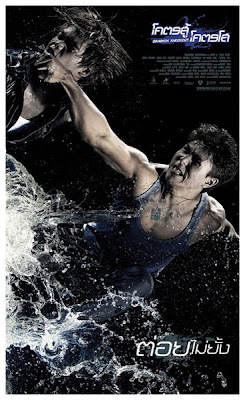 A week or so ago I happened upon a trailer for a film called BKO Bangkok knockout, and it blew me away. I checked for a dvd release and found a Thai dvd was available (without English subs), I ordered and it arrived today. For any of you who don't know anything about it here are two trailers. I'm not expecting much in the way of acting or plot but do those action scenes look amazing! For what it's worth a synopsis reads "A group of martial arts students are enjoying a reunion party when a bomb goes off in the building. When they wake up, some of their friends have been kidnapped and they soon find a group of assassins coming after them. The only way to survive is to fight their way out." The movie appears to be just called Bangkok knockout in Thailand, I'm guessing the BKO part has been added for selling in the west. Look out for a review soon. Is this movie on anyone else's radar? Having just seen the movie, the synopsis is completely wrong, more soon! This looks awesome! The stunts are amazing.